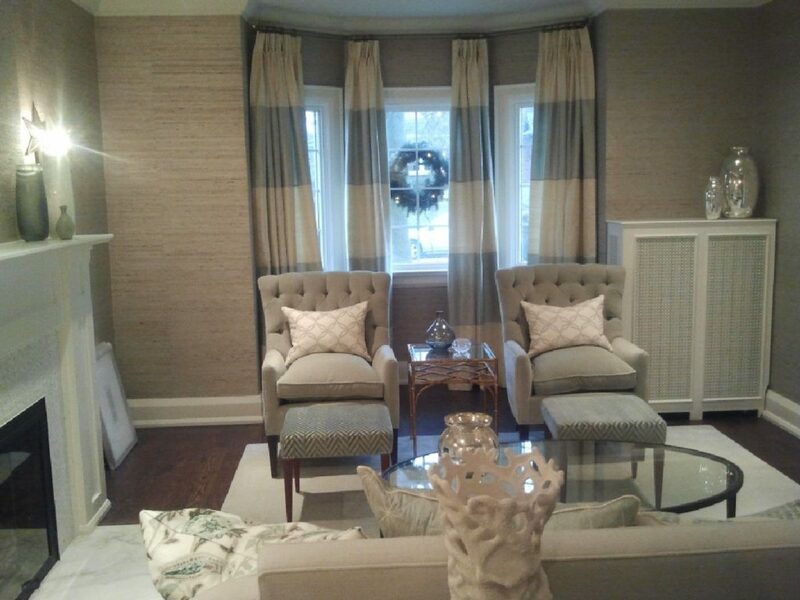 Custom drapes are more than just window treatments, they are an opportunity. An opportunity to elevate their surroundings, to draw attention to and comment on architectural features of the room, to reveal a stunning view and to celebrate texture, colour and luxury. 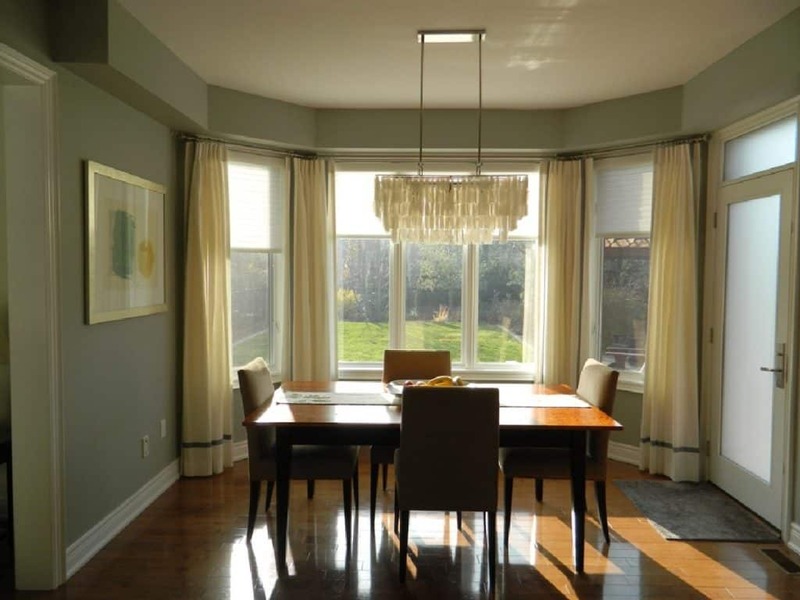 From a strictly practical standpoint drapes will help you save energy by keeping the heat in during the long Toronto winter and out during the summer. If there are any issues surrounding drapery they usually revolve around the question of maintenance, cleaning and general care and so that is what we will be addressing here. Caring for custom drapery is not difficult but it does require understanding the materials involved and adhering to a few common sense principles. How Often Should I Clean My Custom Drapes? How Should I Clean My custom Drapes? Proper care of your custom drapery begins with proper installation. Should your drapes be improperly hung it will unnecessarily expose them to damage and more often than not, fail to take full advantage of their aesthetic capabilities. When it comes to hanging drapes there are typically 2 main things that people do wrong. First they hang the drapes so that the rod is too close to the top of the window and second, they install a rod that is only slightly wider than the window opening. In the first case installing the rod close to the top of the window opening may be unavoidable if you have low ceilings or the window opening extends to the ceiling. If it doesn’t, however, and you have space above the window opening you should install the rod 3 to 5 inches from the ceiling. This will allow the drapes to fulfill one of their primary aesthetic functions, which is to make the room seem like it soars. In the second case, installing a rod that is only a couple of inches or so wider than the window opening will constrain the amount of light that can enter through the window, make the window seem narrower than it is and restrict your view as well. In addition – and this is the more important point – it will expose more of the drapery fabric to direct sunlight throughout the day and that is a distinct drapery care no-no. One more thing. If your drapes have just been hung by a professional installer and they seem a bit wrinkled don’t panic. The installer probably steamed them lightly after hanging them and it will take a little while for the wrinkles to completely relax. Day to day care of drapes, whether lined or unlined, is a fairly straightforward process that starts with giving them a bit of a tussle when you close them at night and open them in the morning. This will shake loose any dust and dirt can keep it from taking hold in the drapery fabric. You will also want to vacuum the drapes periodically with a handheld vacuum sporting a soft brush attachment. If you live in the city where the air typically dirtier you will want to do this every one or two months. If you live outside the city where the air is not so heavy with soot, dust, construction dirt and other pollutants you might not have to vacuum more than three or four times a year. The above basic maintenance steps will suffice most of the time but every two or three years you are going to need to have your custom drapes thoroughly cleaned, preferably by a professional. If you have sheer drapes you’ll want to have them cleaned more often; typically once a year. Some people opt to have their drapes laundered, and while this may be acceptable for some types of sheer drapery (the operative phrase being “may be”) it is always better to err on the side of caution and let the professional cleaning service decide the best route to take. Rarely will the go the laundry route. Following these maintenance tips will greatly extend the lifespan of your custom drapery. We mentioned that a professional will almost never recommend laundering your drapery so what methods of cleaning does that leave? Let us state something for the record right up front so that there is no confusion: you are always better off having your custom window coverings professionally cleaned rather than trying to do it yourself. While that statement may run against the grain for some talented do-it-yourself types it is still true for drapery and other window coverings such as Roman Shades. And there is no secret as to why it is true. As with anything whether it be basketball, interior design, house framing or computer programming the people who do it all the time are going to be better at it than those who do it twice a year. In the case of drapery cleaning an experienced, professional cleaning service will do a better job than you and they can also be held responsible for any damage they might cause to your drapes while they are in their care. It rarely if ever happens but it is good to know you are covered in case it does. By contrast, if you damage the drapes trying to clean them yourself any damages will come out of your pocket. If you must clean the drapes yourself however, we would advise that you take your time and take the following tips to heart. 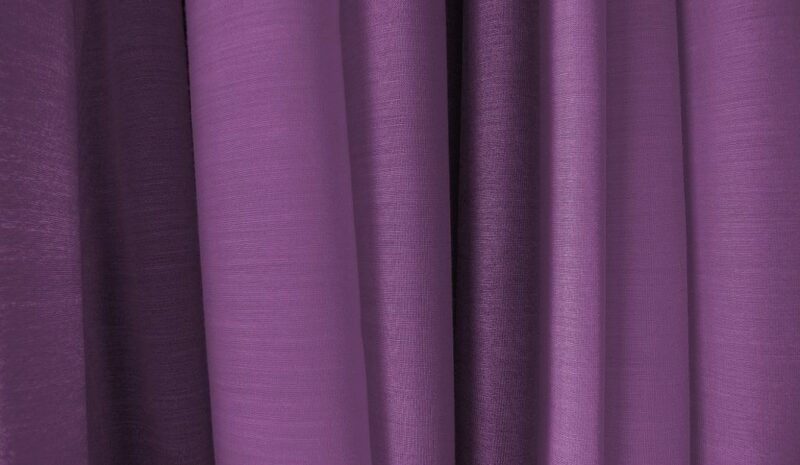 In some instances nylon, polyester or even cotton sheers may be machine washable (although we strongly advise you discuss the matter with the company that made the drapes for you before you assume that is the case). If you do machine wash your sheers make sure to follow the fabricator’s instructions to the letter. If the drapes you are machine washing are darker toned add a teaspoon of vinegar to the wash cycle in order to help prevent the colour from bleeding out. When tumble drying sheers always be vigilant and remove them immediately from the dryer as soon as the cycle is complete in order to prevent wrinkles. If you leave them in the dryer too long you will no doubt need to perform some ironing touch ups and that brings with it a slew of other potential problems. So remove the drapes as soon as the dryer cycle has finished. Sometimes drapes can be effectively steam cleaned while still hanging. Just because this is so however does not mean it is a good Sunday afternoon DIY project. We would still recommend you have it done by a professional. If you decide to do it yourself remember to start at the top of the drapes and slowly work your way down, gently holding the steamer against the fabric but never pushing into the material. If you have any questions about the process contact the company that made the drapes and ask them. Important: Do not machine wash your drape if you have any reason to believe either the drapery or lining material is not washable. Do not wash drapes that have been weakened by sunlight. Do not wash drapes that have pleats. Do not machine wash drapes if you have to stuff them into the washing machine – there should be plenty of room in the machine. Also remember embellishments and trims are typically not washable or color fast. No matter how you have your drapes cleaned some shrinkage may occur if the fabric has not been effectively pre-shrunk by the manufacturer. Ask them about this at the time you order the drapes so that you are not blindsided by it later when the drapes come back from the cleaner a bit shorter than when they left. While it is true that your custom drapes can probably be lengthened if need be you don’t want to go through that if you do not have to. In some cases shrinkage or even stretching may occur if the air in your home is typically high in humidity. Sometimes water stains will appear on drapes and there will be no obvious reason why. If this happens it is likely a result of condensation on the windows being picked up by the fabric and leaving a stain. To avoid this try and make sure you drapes always hang clear of the window panes. If this type of watermarking does occur it might be possible to remove it but you will definitely want to consult a professional cleaner. Different fabrics can have very different care instructions. Follow these tips in order to ensure your custom window coverings are properly cleaned and cared for. We recommend that you never machine wash silk drapery. Nor should it be subjected to hand washing. If you are looking at your silk drapes and wondering why they do not seem to be hanging the same way your old polyester or cotton drapes did it is because silk always retains a bit of its natural stiffness. It is part of the charm of the fabric. So do not try to soften your silk drapes by hand or machine washing them. You will only ruin them in the process. Also, do not attempt to iron out any wrinkles you might see in your silk drapes. This is a common mistake people with silk drapery make. In some cases they compound the error by trying to steam small wrinkles away only to discover they have created a water spot in the process. The best approach with silk drapes if you have never had them before is to learn to appreciate the innate characteristics of the fabric. Drapes made from linen provide a unique and compelling look many homeowners, decorators and interior designers find irresistible. But linen is not just aesthetically pleasing it is also durable with even the thinnest sheer linen drape more than capable of standing up to everyday wear and tear. Sheer linen drapes typically require little by way of daily care and will usually last many years with only periodic attention. They are one of the few fabrics that may survive the rigors of the washing machine but as always we suggest you discuss the matter with the maker of the drapes before you toss them in the wash.
Should your sheer linens be cleared for the washing machine you will still want to be careful how you approach cleaning them this way. Set the machine water setting to ‘warm’ and allow the washer to fill. Add a mild detergent to the water as the washer is filling. Once the washer is full add one drape at a time. Add no more than two or three drapes. Run the washing machine on ‘gentle’ for 4 minutes. Turn the machine setting to ‘rinse’ and set the temperature to ‘cold’. Rinse the drapes and let the machine drain but turn if off before the spin cycle is engaged. Remove the drapes from the washer and place in the dryer. Tumble dry for 3-4 minutes or until most of the moisture is gone. Rehang the linen drapes while still slightly damp. Cotton custom drapes should be lightly vacuumed from time to time to remove dirt and dust. Make sure you only use a hand held vacuum set on ‘low’ and not your powerful canister vacuum. While we would recommend you have your cotton drapes professionally cleaned you may be able to machine wash them in certain circumstances. As always however we urge you to contact the manufacturer before putting any drapes in the washing machine. Should you get the all clear to wash your cotton drapes in the washing machine you can expect that they are going to shrink approximately four or five percent. So be wary of that before you place them in the washer as well. If you have determined that machine washing is the best solution for your cotton drapes make sure you never use anything but cold water and the ‘gentle’ cycle. We would recommend you line dry your cotton drapes to minimize shrinkage but if that is not feasible toss them in the dryer for 5 minutes or until dry. Remove them promptly. If you determine they need ironing do so with the iron on a medium setting and be judicious in your use of steam in order to avoid creating water spots. While fiberglass drapes are by and large a relic of a bygone era they still pop up now and then and some people will order custom made fiberglass drapes to conform to a particular type of interior decor. We would strongly recommend never washing fiberglass drapery in the washing machine as tiny fibres can be released during washing and linger in the machine for some time, getting picked up by other clothes and causing irritation when those clothes are worn. Instead we recommend always having fiberglass drapes professionally cleaned. Sunlight is the mortal enemy of drapery. The intense UV light from the sun is as tough on custom drapery as it is on furniture, automotive paint jobs, blacktop, skin and everything else. Sunlight will not only bleach the colour from your drapes it will physically degrade the fabric itself. The best way to protect your custom drapes from the ravages of our star is to have them lined. Linings will also create more of a blackout effect when the drapes are closed then if they were unlined. If lining your custom window coverings is not in keeping with the look and feel you want from them there are a few other options you can explore. Consider installing remote control blinds or UV-filtering window glass to keep the sun off of them (although swapping out all your window panes is quite the project). Alternately you can install a UV film on the windows. These are readily available from a variety of sources including most home improvement centres and are easy to install. Keep in mind too that the colour of the fabric itself can act as a bulwark against the destructive effects of sunlight. Light colour fabrics are typically more reflective of sunlight and will not fade, whereas darker colours fabrics are going to show scars from their run-ins with the sun. Still, if you think sunlight is a deal killer you may want to explore Roman Shades or remote control blinds. Caring for custom drapery is not the same as caring for Venetian blinds. Your custom drapes will require that you vacuum them on a regular basis, protect them from the sun and more often than not have them professionally cleaned every couple of years. Still, if you make drapery care part of your regular household maintenance checklist you should have no problem getting many years of enjoyment and satisfaction from your drapes.